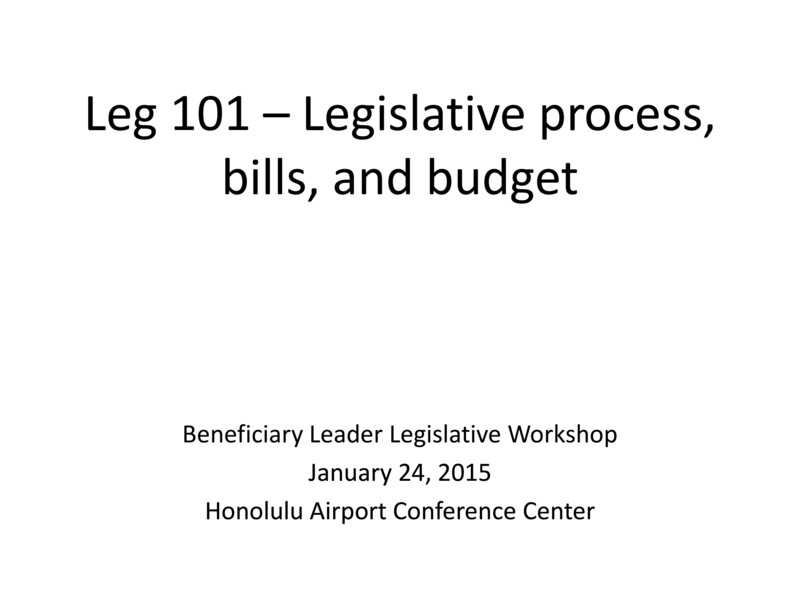 Here is a “Legislature 101” presentation specifically tailored to our homesteaders and Hawaiian homes beneficiaries. 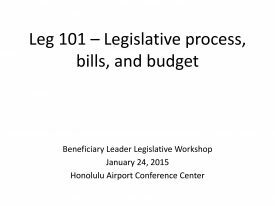 This was presented at a statewide meeting of Hawaiian homestead leaders by DHHL Legislative Analyst Lehua Kinilau-Cano. Click here to download a PDF of the presentation.